A CD called “Songs from the East Village” might make you think old school punk or hipster rock. 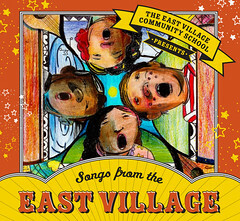 But for a group of children from the East Village Community School, the CD means music from Puerto Rico, Iraq, Tibet, Ireland and other countries. Baghdad-born fifth grader Shams Alfatlawi and her younger sister performed a 1920s Iraqi playground song “Belly a Belbool” on the $15 CD. In Baghdad, Shams said that she was too scared to leave her home, except to go to school. She never thought that, two years after leaving her homeland, she’d be in a Brooklyn studio, helping to record an album. Fifth grade Tibetan refugee Sonam Wancchen sings an a cappella version of “Snow,” a traditional Tibetan song, handed down to Sonam by his relatives. He and his younger brother trekked through the snow-covered Himalayas to India before they moved to the East Village. Sonam’s voice trembles, evoking the image of his bitter cold journey. Students started learning and performing the songs last spring. Ms. McKeown then brought students, parents and staff into her recording studio in Park Slope to lay down the tracks. Her daughter, Róisín, is a student at the school. Another parent with a daughter at the school, Sarita Choudhury, contributed her voice to “The Tiger,” a song about her real-life encounter with a tiger in Rajastan. Ms. Choudhury, an actress, said the recording process put everyone on an even playing field. The school posted a video with background information on the CD. All proceeds from sales of the CD go toward the school’s arts programs. Bradley Goodman, the school’s vice principal, said 300 albums had been sold before the CD’s official release. 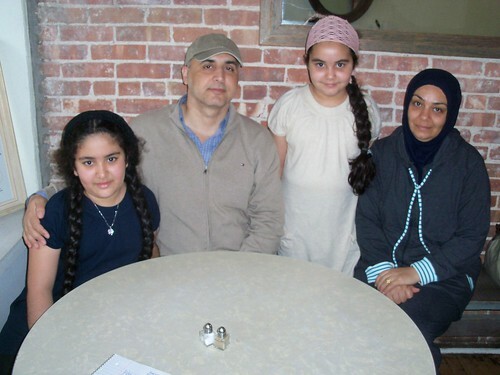 Simon McCormack The Alfatlawi family: From left, Shams, Muwafik, Dhuha and Suhair. For the CD, Shams performed “Belly a Belbool,” a 1920s Iraqi playground song.